We offer worry-free, secure payment options including American Express, Visa, MasterCard, Discover, PayPal, PayPal Express Checkout, Google Wallet, Amazon Payments, Check/Money Order, Certified Check and Wire Transfer. There is no surcharge for using your credit card to make purchases. Please be sure to provide your exact billing address and telephone number (i.e. the address and phone number your credit card bank has on file for you). Incorrect information will cause a delay in processing your order. Your credit card will be billed upon processing of your order. Click on "Proceed to Checkout" Button for Credit Card (American Express, Visa, MasterCard, Discover), PayPal, PayPal Express Checkout, Check/Money Order, Certified Check and Wire Transfer Payments. Online Credit Card orders over $500 are subject to additional order confirmation and documentation requirements as a security measure to prevent fraudulent purchases. Our secure One Page Checkout allows you to checkout anonymously or checkout after registering your information. 1. Select Checkout Options: Select from Guest Checkout, Register, Sign In and PayPal Express Checkout options. 2. Enter Billing and Shipping Address: Enter the Shipping Address where you want your order shipped to. You will also be able to enter a Promotion Code if you have one and any Notes or Special Instructions for us. 3. Select Payment Options: You will be able to select from Credit Card (American Express, Visa, MasterCard and Discover), PayPal, Check/Money Order, Certified Check and Wire Transfer payment options. Select Shipping Method: We offer Free Shipping on orders over $50. Orders under $50 will be charged a flat Standard Ground Shipping and handling fee of $5. We only ship to the 48 contiguous United States. We do not ship to Alaska, Hawaii and Puerto Rico. Expedited service is available upon request by contacting Customer Service. 4. Review and Confirm: You will have an opportunity to Review and Confirm your order. You will receive an email Order Confirmation after you confirm the order. 5. Invoice: View and Print your invoice for your records. We will hold your order pending receipt of your payment for up to 10 days. Your order will be processed and shipped after the funds are cleared. Please select the Certified Check option during Checkout and contact Customer Service for Wire Transfer instructions. Please enter your Postal Zip Code and click "Update" to enable Google Wallet and Amazon Checkout. After you enable Google Wallet and Amazon Checkout you can click on either Google Wallet Checkout or Amazon Checkout to complete your order. Our Store shall automatically charge and withhold the applicable sales tax for orders to be delivered to addresses within the same state. For orders shipped to other states, you are solely responsible for all sales taxes or other taxes. Sales taxes are applied to all orders shipped within Virginia. Sales tax does not apply to web sales outside Virginia. All our products come with the full manufacturer’s limited warranty. Manufacturer warranty is effective from the date of purchase and typically lasts 12 months from the date of purchase unless otherwise stated. The exact warranty period could be confirmed directly with the manufacturer. We offer no additional warranty unless specified otherwise. Orders which are processed and canceled prior to shipping are subject to a 5% cancellation fee. Shop with the comfort of knowing that we offer a 100% money back guarantee. We will gladly accept the return of products that are defective due to defects in manufacturing and/or workmanship for 30 days from the date of purchase. Fulfillment mistakes that we make resulting in the shipment of incorrect product to you will also be accepted for return 30 days from the date of purchase. We request you to carefully examine the product immediately upon receipt to make sure it is exactly the product you ordered. If it is different from what you ordered, we request you contact the customer service immediately so that arrangements can be made to send you the correct product. If the product is in its original packaging, you may return the product to us within 30 days from purchase for a full refund (excluding shipping and handling charges). Products once opened can be returned subject to a 15% restocking fee. Return shipping to us is at your own expense. If the product you received is defective, please contact our customer service so we may help accordingly to work with the manufacturer’s repair policies. Any product returned without our authorization is not our responsibility. GreenEcoSavers, LLC makes every effort to ensure that orders are processed promptly and shipped to our customers so that goods received by our customers are satisfactory in every way. An overwhelming majority of our valuable customers are absolutely honest. A very few fraudulent customers have attempted to use the "Chargeback" policy of their credit card's issuing bank to receive a refund they are not entitled to. 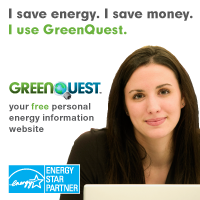 When you place an order on our website, the charge will show on your credit card statement as “GreenEcoSavers”. We maintain complete records containing ordering information, customer email & phone conversation logs and shipping confirmation so we have consistently won these disputes. There is a considerable amount of time and effort required to disprove the false claims and we are without the disputed funds plus a hefty charge levied by the credit card company until the issue is settled. In the event that a Chargeback is placed on a purchase, we reserve the right to report the incident for inclusion in a Chargeback abuser database. The information reported will include name, email address, order date, order amount, IP address, full address, and phone number. GreenEcoSavers, LLC considers credit card Chargebacks to be fraud if you have made no reasonable effort to work with us to resolve any problems with your purchase. All frivolous Chargebacks not only cost our employees time away from our usual and customary matters of conducting normal business, but cost us money. The customer must attempt to return any and all merchandise to GreenEcoSavers, LLC before attempting a Chargeback. In the event that you win the Chargeback with your credit card company, and have not returned our goods, GreenEcoSavers, LLC will attempt to recover fraudulently disputed charges plus additional costs via a third-party collection agency and your account will be reported to all credit bureaus as a delinquent collection account. This may severely damage your credit rating for at least the next seven (7) years. At this point, we will no longer accept a return of the merchandise as settlement for the debt and will only accept payment in full. In addition to this, GreenEcoSavers, LLC will file a report with your local police or sheriff’s department, and file a mail fraud complaint with the United States Postal Inspection Service. GreenEcoSavers, LLC does not tolerate credit card fraud. We log IP strings on all orders. All fraud, without exception and any orders coming back as a Chargeback due to fraudulent activities will be reported and prosecuted to the full extent of the law. In addition, we will pursue civil legal action seeking any loss of income related to the fraud, including business, legal fees, research costs, employee down time and loss of revenues. We make every effort possible to provide current and accurate product information on our website. Product information is subject to change at any time. We reserve the right to update the information on our website at any time without notice. Product information, pricing, availability, shipping and special offers may include typographical errors, omissions or inaccuracies. These errors will be corrected immediately upon discovery. We reserve the right to refuse or cancel any order based on an incorrect price and issue a full credit for your purchase. If you used a credit card for your purchase, the time for the issued credit to appear in your account will be based on your card issuer. If you are not fully satisfied with your product purchase, you may return it as per our return policy. This notice applies to all information collected or submitted on the GreenEcoSavers, LLC website. On some pages, you can order products, make requests, and register to receive materials. The types of personal information collected at these pages are your name, address, email address, phone number and credit card information. On some pages, you can submit information about other people. For example, if you order a gift online and want it sent directly to the recipient, you will need to submit the recipient's name and address. We use the information you provide only to complete your order. We do not share this information with outside parties except to the extent necessary to complete that order. We use the information you provide about someone else when placing an order only to ship the product and to confirm delivery. We do not share this information with outside parties except to the extent necessary to complete that order. We use return email addresses to answer the email we receive. Such addresses are not used for any other purpose and are not shared with outside parties. You can access all your personally identifiable information that we collect online and maintain by logging into your account at GreenEcoSavers, LLC. We use this procedure to better safeguard your information. You can correct factual errors in your personally identifiable information by sending us a request that credibly shows error. To protect your privacy and security, we will also take reasonable steps to verify your identity before granting access or making corrections. Should you have other questions or concerns about these privacy policies, please contact customer service. We offer Free Ground Shipping on orders over $50. Orders under $50 will be charged a flat Standard Ground Shipping and handling fee of $5. We only ship to the 48 contiguous United States. We do not ship to Alaska, Hawaii and Puerto Rico. We do not ship to PO Boxes. Expedited service is available for most orders upon request by contacting customer service. Most orders received before 3:00 pm EST will ship the same day, provided the product ordered is in stock. Most orders received after 3:00 pm will ship the next business day. Orders are not processed or shipped on Saturday or Sunday, except by prior arrangement. In general for products in stock, we ship within 1 to 5 business days after your payment has been processed. Shipping for products which are not in stock and for large quantities could take longer, and you will be contacted by our customer service department with the estimated lead time. Backordered products could have a lead time between 1 to 4 weeks. Please contact us by phone or by email if you need to check stock availability and lead time for any product. We use all major shipping carriers including UPS, FedEx and USPS. Renewable Energy products like Solar Panels, large Inverters and Wind Turbines will be shipped by freight due to weight limitations. We choose the carrier to ensure that your order is delivered in the most efficient manner. If there is a delay in shipping your order, we will notify you immediately by email. We cannot guarantee any shipping company to deliver packages as scheduled due to unexpected delays such as weather conditions or human errors when the package is in the shipping companies care. We cannot guarantee when an order will arrive. Consider any shipping or transit time offered to you by GreenEcoSavers, LLC or other parties only as an estimate. We encourage you to order in a timely fashion to avoid delays caused by shipping or product availability. We will ship your product as it becomes available. Usually, products ship the same day if ordered by 3:00 pm EST, or by the next business day if your order is received after this time and for orders received on Saturday, Sunday or any major holiday. However, there may be times when the product you have ordered is out-of-stock which will delay fulfilling your order. We will keep you informed of any products that you have ordered that are out-of-stock and unavailable for immediate shipment. You may cancel your order at any time prior to shipping. These Conditions will supersede any terms and/or conditions you include with any purchase order, regardless of whether GreenEcoSavers, LLC signs them or not. We reserve the right to make changes to this site and these Conditions at any time.